A child with low self esteem is a child who will struggle to develop the social skills and self confidence abilities that they need to go on and live a happy, successful and fulfilling life. Although a child needs high self esteem. This does not mean making them arrogant. It just means helping them to feel good about themselves and getting them to believe in their own limitless, abilities and capabilities. Greatness lies within all children. But low levels of self esteem can lead to underachievement and not making the best of their academic potential and their creative genius and their many talents. Children live their lives by their conditioning and their programming, and most of their programs are inherited in their early years. In fact, it is believed that the first seven years of a child's life are probably the most important in determining their levels of self esteem. It is estimated that a child does not have many perceptions or self awareness until they reach the age of about seven years old. Up until the age of seven, their minds are like an open book and a sponge that absorbs information without having the ability to question or doubt. As a young child cannot really think for themselves. They have no filters and the child is totally reliant on others to form their beliefs and perceptions of the world. This means what they are told and observe, they cannot reject so they have to accept everything accas being true even if it is negative, damaging or limiting. This is why if you want your children to grow up happy, successful and confident, then it is essential that they are programmed with positive and supportive beliefs and words. Because a child's self esteem can determine whether they grow up to be successful, happy and confident children who excel in life or whether they suffer with confidence, social and emotional issues. All babies are born with healthy levels of self esteem, the only way they develop low self esteem is through their conditioning and their experiences. If you tell a young child that they're stupid, useless or no good, even if it is said in jest. Then they can take on board these beliefs as being true. Then as they go through life, everytime they do not to so good at something, say they have bad grades. Instead of learning and developing their skill levels and becoming better. Their brain looks for evidence for why they have not done well, and it will use the belief that they are stupid or useless, so they won't bother trying to grow or get better. It can also put them off from trying new things. It is also important to allow your kids to daydream and use their imagination constructively. All young children know how to use their imagination to be creative and daydream about what they want to do when they grow up. This is our natural inbuilt creativity that is meant to help us create a better and fulfilling future. Then, as they start school they're told not to daydream. Children also need to be encouraged to explore, ask questions and be taught to problem solve. From a young child's perspective, life can be very confusing for them at times. All babies are born happy and they have healthy levels of self esteem. They only develop lower self esteem from their conditioning and their life experiences. Especially those children who are bullied or they think that they're not good enough or they develop body image issues. Child also need to feel liked. But more importantly they need to like themselves. The word esteem means, how you value yourself, how you rate your abilities and how much you like yourself. All children need to know they're good enough, smart enough, capable enough and attractive enough. And even though the parents love them, if the child thinks that they're not liked as much as their brothers or sisters or they feel they don't fit in or mix well with other children, then this can affect their self esteem. If a child's self esteem takes a knock, so does their self confidence and as self confidence is the key to happiness and being successful, then it is important to maintain and work on building their self esteem. The trouble is. We live in a world where we build our children up, and then we bring them down. One moment the parent may be praising their child up, for something that they have achieved. Then, a bit later on, they will criticise them for their mistakes, when they don't make the grade, if they don't live up to our own standards and expectations or if they're not doing things well or right. This yo yo, build them up and knock them down can carry on throughout their school years and beyond. Although you have to correct your child at times. It maybe far better to teach them to learn from their mistakes so they can become better, rather than knock their sometimes fragile confidence and self esteem. Get them to focus on what their good at and encourage them to see all problem as a challenge for them to overcome or learn something. Tell them their great and tell them they can learn to do anything they set their minds on. Although children like the latest toys, cloths and devices. What they like and need the most are to be liked/loved and to feel as if they're good enough. Because you can give your children the best of everything. They can get the top grades and excel academically and go on to create a great career and life. But unless they like themselves and they have high levels of self esteem, it all means nothing. Material things are illusions, high levels of self esteem, are the foundation of happiness, self confidence and emotional well-being. Low self esteem leads to anxiety, persistent worry, depression, lack of belief in their abilities, playing it safe, unable to excel at work, relationship issues and more. Always encourage your child to like and accept themselves. Because if they don't like themselves, they will always seek approval of others or they will go out of their way to try and be liked, which can lead to low self esteem and even cause them to be picked on or bullied. A child needs to keep on telling themselves. "I like myself". It is also essential that all parents do whatever they can to build their children's self esteem. Do you know what's going on in your children's world? A parent will never truly know what is going on in their child's mind and their inner secret world, and it can be a mistake to just presume that your child is feeling good about themselves on the inside. I mean, do you really know if your child has low self esteem, if they worry a lot or if on the inside they're and anxious child? Sometimes outside appearances can be deceptive for the parent and they do not tell the true story. Just because your children does not tell you how they feel, doesn't necessary mean they are not lacking in self confidence or they have low self esteem or emotional issues. From your child's perspective. They might not even have any idea that there is something wrong or how their supposed to think and feel. If a child is a worrier, self conscious, insecure or a bit sensitive. Then they might come across as a bit timid, clingy, a poor mixer or they appear a bit withdrawn. After all. How they think and feel might be what they have got used to and to them. Perhaps it has become the norm for them. Then this can be a good indication that they have low self esteem, but sometimes the signs are not always that obvious. The best policy a parent can adopt is to spend some time helping building your children's self esteem and helping them develop their social skills and encouraging them to unleash their true inner abilities and potential. Encourage them to accept themselves, be themselves and get them to focus on their strengths and install positive and supporting beliefs about themselves. You have to be very careful what you say to a young and very impressionable child. Because, young children easily buy into and accept as being true, anything others say about them, even if it is said in jest. Older brothers and sisters, parents, family and friends can all shape a young child' beliefs, with the things that they say to the young child. A young child does not have the ability to reject the comments, suggestions and opinions of others. If people say positive statements to their children and they give them plenty of praise and encouragement. Then this will empower them tremendously. If a child is constantly criticized, put down or people say harsh things to them. Then this can dispower them tremendously. Young children don't have the ability, the life skills or the awareness to solve their problems, overcome challenges or manage their thoughts and emotions. Once a sometimes confused and insecure child has lost their confidence, they're suffering from low self esteem or they do not believe in themselves and their natural talents and abilities. Then it can be hard for them to overcome it and they can get drawn into a battle with their thoughts, feelings, perceptions and emotions. Trying to teach your kids to build their self esteem can be quite tricky to hold their attention span long enough or to get them to listen, never mind getting them to help themselves. There is a better and fun way to build your children's self esteem without them even knowing you're doing it, and that is through storytelling. The one thing that many parents struggle to strike the right balance with their children is. Knowing how to correct them, discipline them or tell them what is potentially dangerous without scaring them. When it comes to correcting them and disciplining them this can prove to be very difficult for every parent. Children need to know when they have stepped over the mark or they have broken the rules. But at the same time you don't want to destroy their self esteem or confidence or undermine their values. Maybe a good policy is to already have a form of discipline or ready in place, so you know exactly how to handle a situation, as it happens. It can also help to have a set of rules and boundaries set up, that they know they should not break or cross. If you already know how you're going to discipline them. Then when they need correcting, teaching what to do or disciplining. Instead of reacting emotionally in the heat of the moment and ending up in a battle with your children, where you might get angry and frustrated causing you to say things that can damage your child's self esteem and self worth. You will be better prepared to handle the situation in an assertive but calm and controlled manner. You can correct and discipline your children, whilst teaching and learning them something positive or constructive. When you already know your plan of action. It will prevent you from losing it and shouting and yelling at your children, whilst trying to make up or figure out your plan of action as you go, whilst you're still feeling emotionally overwhelmed. We all have to correct and discipline our children and let them know right from wrong. But, when you get angry and you shout at your children or you speak with your emotions or you try to force a child to do something you want them to do, because your emotions have got the better of you. Then this can have a negative effect on your child, making them feel worthless, undervalued and controlled. The child can start also start to feel unloved, because they might blame themselves or they might think that they can not please their mom or dad or they cannot seem to do anything right. Sometimes children will try to please their parents even if they don't want to do, what their parents are telling or asking them to do. One way to try and get your children to do what you want or what you think is best for them is. Offer them a reward or give them a treat, after they have done what you asked. This also creates a positive anchor. If they refuse or if they have done something wrong. Then, you can take away or threaten to take away some of their privileges. There are ways that you can discipline your children without getting angry if you be smart and you keep a cool head, by separating yourself from your emotions and already having a clever plan or strategy to discipline them. Because when you're anger or overly frustrated you can use negative words like stupid or thick, which can erode your child's self belief, self worth and self esteem and leave them feeling as if they're stupid and not good enough. Sometimes it is not just what you say it is how you say it. Because when you discipline your child whilst you're angry. You will use a harsh and critical angry tone of voice and it is the tone of your voice that does all the damage to your child. You can still have your tool, strategy or plan of action, for your disci[lining, just try to enforce it without the strong intense emotions and the harsh and angry tone of voice. The same goes with trying to let them know what is a potential danger. You need them to know of anything that can potentially harm them, but at the same time you don't want to create to many fears of phobias or pass on your fears on to them. An example could be. You may want to, keep them away from water. Let's say, you child has wondered too close to the water's edge, and you scream and yell at them to get away. This can cause them to develop a fear of water. Of course you want to protect them and you need to get them away from the waters edge. Just try not to yell at them after, as that can create the fear. Another big fear is, the fear of spiders. If one of the parents has a fear of spiders and they scream and panic everytime they see a spider. If the child is around, then there is a high chance that they will develop a fear of spiders. Children need to be explained to, what is potentially harmful or dangerous, ideally without scaring them to much. Again, the tone and loudness of your voice is what creates the fear and anxiety. A healthy level of self esteem is the foundation that is necessary for your child to go on to live a happy and successful, fulfiling life. Children's self esteem is how they see themselves in the world, regard themselves and how they value themselves in relationship with their school environment and their society. Self esteem is a child's feeling of self worth, accomplishments and their relationships with their family, friends and peers. One thing that can seriously lower your children's self esteem is when they start to compare themselves unfavorably to others or when they feel that they have body imperfections or they're not good enough. Self esteem is often linked to their self image. Making sure your children eat a healthy and well balanced varied diet and encouraging them to keep fit and active, can help them maintain a good body image. Sticking cards around the house with positive statements can help affirm to them they are enough. Like. You can also purchase posters with positive statements and quotes. You can also get your child to write this down on a piece of paper each night for a few weeks. Children need to feel secure and know that they are valued and important. Make your child proud of themselves and make them feel like a winner. However, there is a big difference between valued and important though than making them vain and arrogant. it is important to build their identity and character, and not allowing them to destroy it. A good way to help your child be a happy and positive child is to make sure that you bring them up in a happy and enjoyable, positive environment. Children will pick up on your insecurities, limiting beliefs and negative energy. If you provide them with a happy and fun, surrounding. A young baby or child can pick up and detect negative energy and stress, especially in the mother. Some experts even believe, that babies can pick up and match their mothers emotional energy, when they're in the womb. Many parents are unaware. That the way they act, behave or what they say to their children or what they discuss in their family environment, can affect their children. A happy, calm and supportive you can mean a happier, secure and joyful baby and child. Even teenagers can be affected by their parents emotional state and opinions. If their parents are always arguing, stressed, insecure or negative. Then, this can too, have a negative impact and influence on them. Then this can have many positive benefits on their emotional well-being. A child's self esteem can have a big impact on their personal character as well as influencing how well they perform and interact in their social life and their career. Children's self esteem will determine their self image of themselves, this will affect how happy, confident and successful they are which are without doubt the three most important aspects in every bodies lives. Get it right with your children and they will have a joyful and rewarding successful life, if they take the route of low self esteem and they under value themselves then they run the risk of a life of struggle, pain and underachieving. The difference between children with a healthy level of self esteem and those with low levels of self esteem are. The ones with a higher level of self esteem will have a higher regard for themselves and they will value who they are whilst the ones with low levels of self esteem will perceive themselves as little value and develop sense of low self worth and they will have little faith and belief in themselves. Our self image of ourselves has a massive impact on our lives, our personalities and what we achieve and become. When we are very young our self image is formed by our parents and others around us, at this young and impressionable age, we absorb and believe all those nasty comments that people say about us. The same applies if the child's parents or elders talk to others in front of their children about them in a non productive way, telling people your child is shy or quiet can mold a child into believing their are timid, because children take on board and buy into what they hear said about themselves. Sometimes the child's parents and their peers start the idea that the child is shy, unloved, useless or worthless and as children take these negative comments on board they then live their lives governed by the rules laid by others. Once a child accepts and believes the criticism or nasty remark they start to add their own bits to it, if you tell your child they're stupid or no good then they will start to believe that what others are saying about them is true. When a child has reacted badly to a negative experience or hurtful comment, it can lead them to believe they are unloved or it can lead them to fear the bad experience. The same applies if they hear they have a body or looks imperfections or that they don't belong or fit in. The last thing you children need to believe is they are not worthy or flawed in some way. This can lead them to search for evidence to reinforce and back up the comments to see if it they are true, and unfortunately it does not take them long to find more examples which they can link to and match the idea that they unloved or they have a flaw or weakness. This can play on their mind and they can then make up other negative suggestions about themselves to try and justify the original remark. The more they re-enforce these negative self statements the more they accept and believe them. It is so important that you give your child plenty of positive praise and you need to tell them from an early age that they are confident, worthwhile, valued and clever. When children learn to respect themselves than others will respect them back, when they have a good level of self esteem then they will be more able to handle and deal with the challenges that life will throw at them. It will also give them the courage to do the right thing even when others are tempting them to do what is wrong, this will prevent them just following the crowd just to fit in, they will become leaders instead of followers. Show children where they are going wrong, if they make a genuine mistake do not curse or criticize them because young children will buy into everything you tell them. If you keep doing that then they will get into the habit of cursing and being hard on themselves for making a mistake, this will lead to a negative self image of themselves. It is fine to correct them and guide them, but be careful what you say to them or about them. A poor self image can give a young child, a major disadvantage in life, it can keep them feeling small and under confident, leading to a life of negative emotions, underachieving and undervaluing themselves. Once a child's self image is set they accept who they are and their negative self image side of them and unless they get help to change it or they deliberately do something about later in their life's they become resigned to this negative self image as being who they are, to make matters worst they can wrongly believe there is nothing they can do about it. Parents arguing a lot or getting divorced or separated, ideally children need to be brought up in a stable and loving family environment, sometimes when the parents separate it can affect the child, in some cases the child might even blame themselves. If you do separate explain to the children that it is not their fault and they will still be loved and supported by both parents. If the young child is shown up, shamed or laughed at for the wrong reasons or they are made to feel shamed and embarrassed in front of others, then it can lead to a negative experience that can cause them to develop a fear of that situation. If a child is overweight or has a slight physical imperfection then if they are exposed later in life especially as we are being constantly bombarded by the need to look good or if they are teased a lot or called names then this can lead them to form a negative self image of themselves. When a child feels that they are constantly being criticised or if their parents are showing favouritism to another brother or sister or maybe they feel they have been neglected, rejected or unloved then this can too have a negative impact on their self esteem and self image. Not being taught anything about the importance of their thoughts and emotions, not being given any help to boost their confidence, not being taught how to deal with worry and anxiety. Children need as much help and support as possible. When they think good about themselves on the inside it will reflect back out on the outside in many positive ways. Sometimes when children do wrong, we shout and verbally, attack them and although they must be taught what is right and wrong, you have to also be careful not to emotionally damage them. When they do good or they try to do good things they should be rewarded with lots of praise, when they do wrong, they should be corrected and even stop them from their privileges for a while, but be careful not to degrade or shame them. There are plenty of ways to control your kids without physically or verbally disciplining them. It is important for your children to grow up not being terrified of making a mistake or getting things wrong. Children need to be taught to always try and feel happy about themselves, they need teaching how to deal with their negative thoughts and emotions. Approach your children and tell them that everybody has problems that they have to deal with throughout their lives. Explain to them that whenever they have a problem they must first learn to accept it otherwise they will become emotionally involved in the issue, this will cause them to feel bad and they will play the problem over and over again in their minds. If they have something bothering them, learn them to talk to somebody about it or get help, encourage them to look for and focus on finding a solution rather than keep thinking or worrying about the problem. They should also be made to be aware that when they do have these negative or unwanted thoughts in their head that they should never try and stop them, because when they do that they will have more of them and this will result in them feeling even worst. Negative thoughts can help them to stop making mistakes, however, if they bow down to every challenging situation, then they will not grow in confidence and courage, they will learn nothing by giving into their feelings. Tell your children that if the thoughts are serving them no worthwhile purpose, then the best thing they can do is to just ignore them, by not responding to the thoughts they will quickly put a space between the initial stimulus and the emotional arousal. This will help them to control how they respond and it will also teach them to let the emotion quickly pass by. Children need to know that they will experience some degree of unpleasant feelings and they should not be alarmed or overly concerned about them, tell them that sometimes we have bad feelings to help to keep us safe, they have to realize to be able to distinguish between what is a genuine threat and what is not. Once they can do this, they will know that the feelings are not appropriate and they can simply take no notice whatsoever. Explain to them that anxiety is designed for them to take action, but if the worry is none threatening then they don't need to do anything. Because like their thoughts they cannot fight or stop their feelings, if you try and stop them, they will only become more intense and they will then go on to develop a fear of the fearful sensations. The best thing they can do is observe them and ignore them and they will soon go away. The more you can get them to feel good about themselves and think nice thoughts pleasing thoughts the less trouble they will have with negative emotions. Also tell them if they thing bad about themselves, they will feel bad, get them to look forward to challenges instead of dreading them, they need to use the words I can more often and ditch the I cant's. Their level of self esteem can be the difference between them just coping their way through life where they often feel bad about themselves or positively expressing themselves where they make most of their creativity. They should be encouraged to set and achieve their goals so they can excel in many area's of their life, what is important for them to be made aware of is of how crucial it is for them to feel happy before they even attempt a goal because to be successful they must feel relaxed and good. Goals should be enjoyable for them, but by no means should their happiness be tied to what they do or don't achieve. They must realize that they will perform better at everything they attempt or do if they already feel good, relaxed and happy first, instruct them that good things happen to people who are happy. A poor self-image can deprive children of achieving their goals and even prevent them from attempting them, low self esteem can lead to feelings of insecurity, inferior and inadequate, which can lead them into seeing the world as a scary place where to go on to living a life of worry and fear. A child's self esteem has to be developed, it is not a thing you're born with, their self esteem is acquired and set at a very early age, so the sooner you install a positive self worth and image the better. Giving your child a lot of hugs and love along with plenty of positive encouragement and letting them know how precious and valued they are will boost their self esteem and value of themselves. Find time to talk to your children about making mistakes and getting things wrong. Tell your children that know one is perfect and everybody makes mistakes, the important thing is not to beat themselves up at times when things don't go so well for them, learn them to shrug it off and let the matter go. The time to give them a bit of support and encouragement is when things go wrong for them. It is their experiences and how they handle setbacks and challenging situations that will gauge their levels of self esteem as they journey their way through life. It is important to let them know that it is far better to have a go and get thing's wrong, rather than not try at all. Let them know that they can do anything they put their mind too, the more they do thing's the better they will become at them. Praise them up for any achievement no matter how small it may be, never criticize them for making a mistake. They need to know that mistakes are a part of life and that they should not be hard on themselves. Get them into the habit of learning something about the mistakes they make as this will make them grow. Children need to be made aware of how important it is for them to use positive self talk. Although you're on the outside everything may appear fine, on the inside your child may be struggling to deal with their thoughts and emotions and unless they are taught about their thoughts and feelings then they will carry on living their life by chance or default. Children need teaching, they need to know that bad feelings are a result of what they are thinking about or what they are telling themselves. Let them know the only way to feel better is to change what they're thinking about. Instruct them that they don't have to accept the thoughts that come along and they have the power to dismiss anything that makes them feel bad and they should only focus on things that do not generate bad feelings. Children who suffer with low self-esteem often show signs of insecurity, they may be clingy to their parents, and they might feel the need to be protected all the time, and they often feel unloved. Children with low self-esteem may be worriers or use negative phrase, they may say things like "I can't do this" or "I am no good at " or "nothing goes right for me" where they tend to focus more on safety and ignoring the positive and perceiving things through the eyes of the worst case scenario. Teach them to use their imagination to see things going well and right, so theychange their negative memories and feelings. Children with low self-esteem may lack confidence, they have little faith in their own abilities, they can be easily influenced by others, the media, magazines and advertisements. They can react badly to negative comments, especially with all the latest technology such as texting and social media sites, they become vulnerable and they might be susceptible to bullying. Young children who have a low self-esteem may seem shy and isolated, they may find it hard to interact with other children, and low self-esteem in children can cause them to avoid asking questions especially in class and to their parents. They may shy away from taking part in activities or interacting and socializing, when they are too shy or afraid to ask questions to things they are unsure about they can grow up living with the wrong information which can cause all sorts of worries and confusion. Children need to clear up any doubts they may have, they need to be encouraged to ask questions and they need to be taught the importance of self-belief, because low self-esteem in children will lead to all sorts of personal and social difficulties later on. Children with low self-esteem may find it hard to talk to their teachers and grown ups. In order to build children's self-esteem it is important to earn them about the importance of positive self-talk, and the equally damaging effect of their negative self-talk which can result in increasing worrying and anxieties. To build your kids self-esteem then need to be encouraged to like and accept themselves for who they are. They also need to learn that worrying will make them feel bad, teach them how to problem solve and make them realize that they can challenge their thoughts and idea's, rather than just accepting them. Tell your children that they are just thoughts and they don't have to take any notice of their thoughts. Children need teaching about how negative thoughts will make them feel unhappy. Let them know how too much negative thinking and negative self-talk will result in unpleasant feelings. They should be taught how to think positive. Let your child know when they think positive they will feel good, be happy, more successful and achieve more. Encourage them to look forward to trying new things, and when they try something new gets them to see it as a challenge. A little bit of self esteem building for your children is the greatest gift any parent can give them. Low self-esteem in children is often result of what they tell themselves, how they view themselves and others and their ability to do things and take on new challenges. Why it is essential to develop kids self-esteem is because when they become strong on the inside they will become strong on the outside leaving them able to cope better with all the pressures of modern day society. 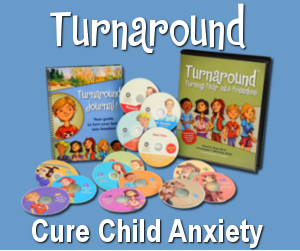 How to Raise Happy, Healthy, Self-Confident Children!